AFRICANGLOBE – Botswana’s economy will grow by nearly double in 2017 compared to the previous year as Africa’s largest exporter of diamonds shakes off a slump in global commodity prices and electricity shortages. In a budget speech to parliament on Monday, Finance Minister Kenneth Matambo said the economy would grow by an estimated 4.2% in 2017 compared with 2.9% growth in 2016. However, the minister said the budget deficit would widen, to 1.43% of GDP from 0.7 previously, as government spent more on electricity and water infrastructure following a severe drought in the region. “The optimistic outlook is based on the anticipated slight improvement in the mining sector and positive growth prospects for the non-mining sectors,” Matambo said. The minister said revenues for the 2017/18 financial year were estimated at $5.5 bn, with customs collections accounting for 29.8% of revenues followed by minerals at 28.6 percent. Matambo warned that slow recovery in the global economy and low commodity prices posed risks to the growth forecast. An analyst at First National Bank Botswana, Moatlhodi Sebabole, said the investments in water and energy infrastructure were a positive step. “The rise in expenditure is enough to support the growth projections but the key will be implementation of these projects,” Sebabole said. 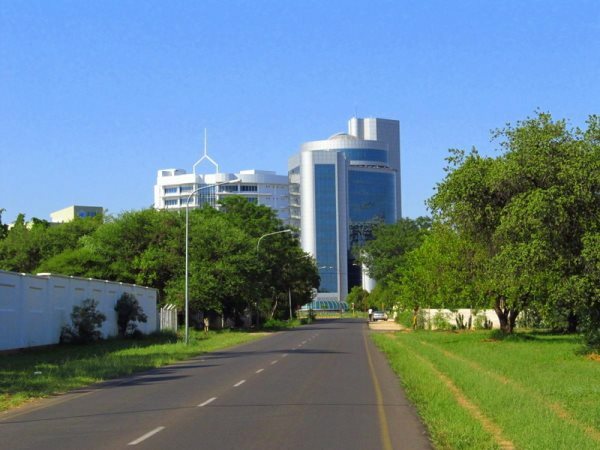 Botswana, which celebrated 50 years of independence in 2016, is considered one of the continent’s most stable nations and boasts one of the highest rates of income per capita in the world. The land-locked state has, however, struggled with weaker growth in recent times as mineral sales slowed, while electricity shortages have hurt mining.